RSpec and Cucumber are the leading Behaviour Driven Development tools in Ruby. RSpec supports Test Driven Development in Ruby through the BDD lens, keeping your focus on design and documentation while also supporting thorough testing and quick fault isolation. 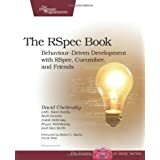 Cucumber, RSpec’s steadfast companion, supports Acceptance Test Driven Planning with business-facing, executable requirements documentation that helps to ensure that you are writing relevant software targeted at real business needs. Nice book, but not as good as expected. The most interesting part is the first one, where author shows the idea of BDD in small steps on real world example. It helps to feel better BDD itself and how to use it in day-to-day work. There are some interesting tidbits about extending RSpec and mocks, BDD in Ruby on Rails, acceptance testing with Webrat and Selenium. 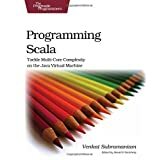 But they looks like extended documentation provided along with RSpec, with some additional examples and advises, provided in a more structured manner. Anyways, It’s a good tutorial and introduction to Cucumber and Behavior Driven Development (testing) of Ruby on Rails web applications.